JOHANNESBURG , Jun 3 2013 (IPS) - Competing players in the tourism industry in southern Africa are putting aside their rivalry in pursuit of a common goal – a big boost in tourist numbers to the region. Mmatsatsi Marobe, the chief executive officer of the Tourism Business Council of South Africa, told IPS that South African tourism players “are well aware of the regional Africa dimension and have been active in this market for years, although restricted within the confines of the Southern African Development Community (SADC) countries. “In recent years, we have seen a growing interest in markets beyond the SADC region – as shown by the increasing number of operators in the hotel and tour operating businesses expanding beyond South Africa’s borders,” she said. The central message from the Tourism Indaba, a tourism conference held in May in Durban, was that neighbouring countries must work more closely together in marketing and promotion to sell southern Africa – and not just its individual nations – as a destination. Marobe argued that the benefits of greater regional cooperation would extend far beyond the business of tourism to conservation as well. “Moving from a perspective that Africa’s unique offering to the world is the variety and integrity of our biodiversity, then as a continent, we need to all do what we can to protect this heritage – because in this lies our global competitive advantage,” she said. She added that the private and public sector needed to join hands to address the ongoing scourge facing South Africa’s rhino species. Last year, poachers killed 668 rhinos in South Africa. “There is also the power that lies in packaging our natural and cultural heritage and offering it to the world – that combination is hard to be rivalled anywhere in the world, adding the warmth and welcoming of the people of Africa,” Marobe said. Glenn Stutchbury, the president of the Zimbabwe Council for Tourism, argued that many visitors do not distinguish between the different countries in southern Africa. “Southern Africa is long-haul travel for most of its visitors. No one really travels that kind of distance for a single destination, so packaging various options is essential – and cross border, given the various options, makes for a more attractive offer to the visitor,” he told IPS. He said that the private sector must lead the process in marketing the region as a whole. “And it is already happening, where like-minded owners work together with operators to promote their products alongside others with whom they share common service and product values. It is about integrity for the client. Stutchbury said that Cape Town in South Africa, the Chobe National Park in Botswana and Victoria Falls in Zimbabwe and Zambia packaged together, for example, could outsell Kenya’s Maasai Mara and coastal town of Mombasa. 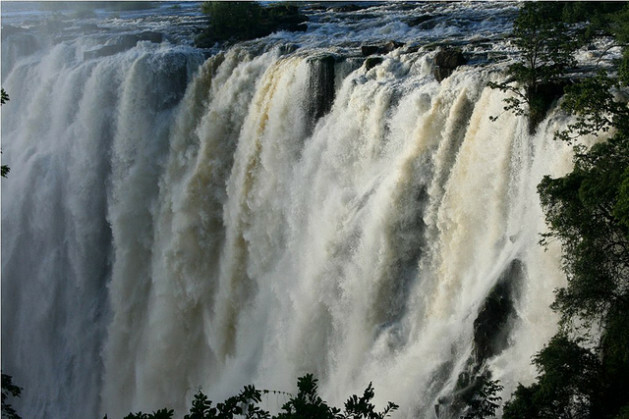 Robin Brown, a partner in the tourism news site victoriafalls24.com, agreed that multi-destination tourism is on the rise. “More and more itineraries suggested by tour operators, and others being booked direct by tourists, are including multiple-country destinations, with camps and lodges, hotels and resorts, in nearby countries,” he told IPS. “We need to portray an image to the market that the entire region – Zimbabwe, Zambia, Botswana, Namibia, Mozambique and others – is a good, safe and reliable option for 14-day and longer itineraries – with good access options, safe travel options and a world- class product that links together seamlessly across borders,” he said. Brown said that in reality, the combination of these countries was an “absolute dream” for potential tourists. “By selling a region we reduce the risks of having countries pinpointed for safety issues, which are often misconceived – and also the impact of marketing a region seems to have more depth than a lone country,” he explained. He emphasised the need for key players to work more closely together. “I am already involved in a regional news awareness campaign, and I am finding that there is interest, but there are also hang-ups. “First of all, regional tourism is burgeoning and ripe to grow more, so neighbouring states have great potential to feed off each other,” he told IPS. “Secondly, the strongest brand for overseas travel to Africa is Africa itself. It is the birthplace of humankind, there is the mystique of the place, it is the custodian of most of the world’s animal and plant species, and it is magnificently diverse and spellbinding. Lastly, he said, the dollar spends by regional states on advertising would go much further, be more effective, and offer a more attractive product, if they were to be combined. Stutchbury suggested that there is an important role for the tourism authorities and politicians in the different countries of the region to work together to make it easier for visitors to enjoy multi-destination holidays. He explained that cooperation was usually on issues such as common problems with border posts, such as not getting busses and passengers through in time. “An example is the Chirundu border post between Zimbabwe and Zambia. They redesigned the border post to separate trucks from passenger vehicles, so they have only one search of the (tourist) vehicle – with officials from both countries doing the one search side-by-side.